Travel and movement impact our health in a variety of ways. We can improve our health through remaining active and through physical activity. Transport can also deliver health, through the fine work of our medics and ambulance service, and yet it can also impact health negatively through accidents and sedentary behaviour on long-distance journeys. A better understanding of these links is crucial for improving the health of the nation, and a transport service that positively impacts our well-being. 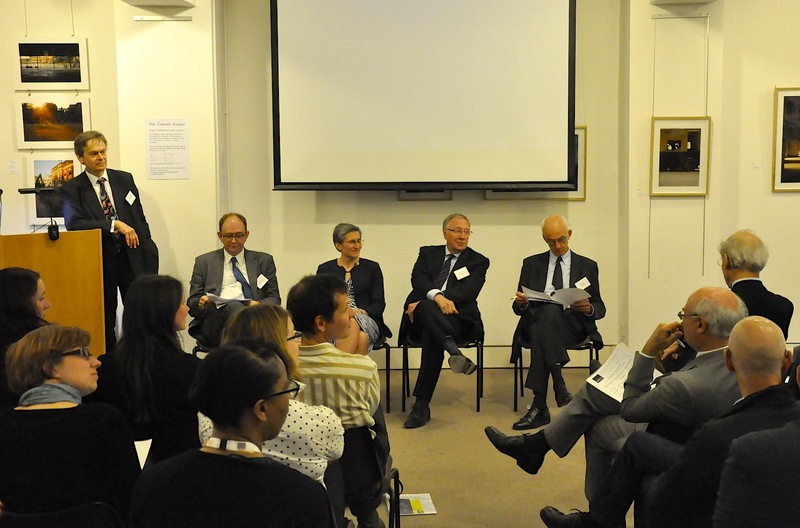 To debate these important issues the ITC hosted a Discussion Evening on 28th April 2015 chaired by ITC Chairman, Simon Linnett. Almost 70 guests attended and the subject was introduced through presentations from a distinguished panel of experts comprising: Clare Moriarty, Director-General of the Rail Executive at the DfT; Phil Insall, Head of Health at Sustrans; Richard Hunt CBE, Chairman of London Ambulance Service; and Simon Craven, Special Advisor to the CEO of Go-Ahead Group. Clare Moriarty explained that, from a policy perspective, there were important ways in which transport affected health. She observed that there were structural similarities between rail and the NHS, noting that both involved large, complex, customer-facing delivery mechanisms with divergent incentives and cycles of change. The effects of transport on health could be both positive and negative; the latter were particularly evident in road transport where the economic costs of accidents and impaired air quality were high. A range of solutions could be used to mitigate these health-related costs, she explained, from safety measures such as speed limits to behavioural change programmes. She pointed out how the Local Sustainable Transport Fund was promoting more sustainable modal choices in transport, such as walking and cycling, and explained that the Social Impacts Toolkit was encouraging policy makers to think about the impacts of transport planning on other areas of policy, including health. Phil Insall focused on the public health implications of transport policy. He argued that many studies had shown the massive negative health costs of transport, and that too much emphasis was placed on prioritising general mobility over access to the things we need. He criticized the ‘windscreen perspective’ of policy and decision makers who were also car drivers. Mr Insall explained that the major health and economic benefits of physical movement, such as walking and cycling, were well known, and suggested that new ways need to be found of encouraging use of these modes. There was a problem, he noted, where investors in transport often did not benefit from the cost savings arising from physical movement, but he pointed to new schemes from the NHS and DfT that could help improve the situation. Richard Hunt explained how the Ambulance Service in London delivers health services. He noted that the Service (LAS) is effectively a logistics and transport organization, and had experienced significant growth in demand over the past decade. Amongst the challenges faced was the need to reach arbitrary targets, such as responding to 75% of Category A (life threatening) calls within 8 minutes. This was often achieved through multi-vehicle deployment. He explained that the service faces many of the same transport issues as ordinary Londoners, such as congestion, one-way systems, roadworks, speed humps, width restrictions, and cycle superhighways. He added that it was important to dampen demand on the LAS, and this was being achieved by providing on-the-spot treatment (requiring no further travel to hospitals for treatment), ‘hear-and-treat’ which attempts to solve customer problems over the phone, and the installation of several thousand defibrillators in London which were already saving lives. Simon Craven provided a transport operator’s perspective and suggested that public health ought to move further up the commercial agenda. He observed that operators were focused on selling mobility, and ‘health and safety’ policy was mainly focused on the latter. In various arenas, however, health issues were becoming more prominent, including the need to improve air quality, the benefits of accessibility (for instance, one of the main benefits from concessionary fares is the improved public health that arises from more use of public transport), and the operational benefits arising from better treatment of mental health. 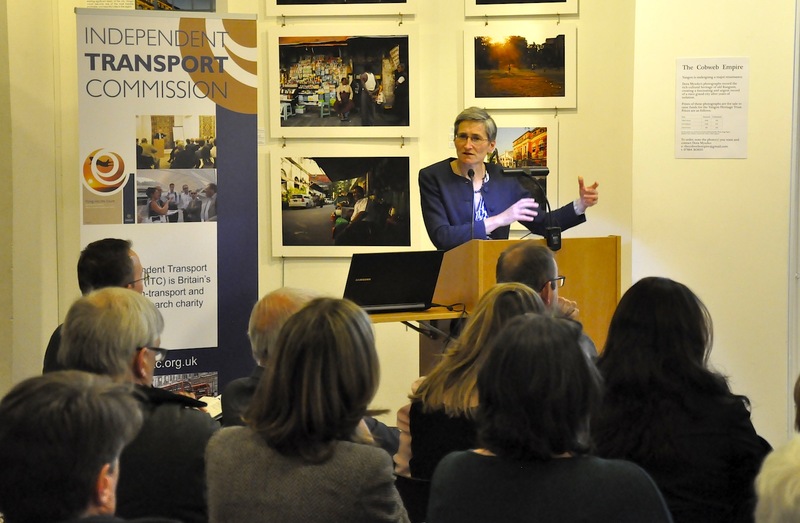 Public health should be given greater emphasis as a high-level outcome when making transport investment decisions, he argued, and there was a need for better co-ordination between policy areas. Some key themes emerged during the subsequent discussion. Although recent years had seen improved dialogue between the Department for Transport and the Department of Health, better dialogue across departments should lead to an improved understanding of the full costs and benefits of policy. Delegates were generally supportive of aligning incentives to use various travel modes, and rethinking how we design existing transport infrastructure to encourage active travel and discourage car dependence. We need to find ways of making active travel, particularly walking, more attractive, and it is clear that health professionals have a key role to play in encouraging active travel. A number of delegates pointed out that planning decisions about where to site hospitals, schools and shops strongly affected car use, and by extension active travel. And finally, the relationship of transport to mental as well as physical health needs to be considered – addressing this would be important for transport policy since travel could be used to improve well-being.